OUR WEDDING MISSALETTE - I Blog, Therefore I Am. We got married in Our Lady of Guadalupe Chapel in Montecito Nuvali in Sta. Rosa, Laguna. It's a nice chapel that very few heard about. It was the perfect chapel choice for us and I am still giddy whenever I think about it. I've been getting a lot of inquiries about it via e-mail and I promise that I will post about it soon. 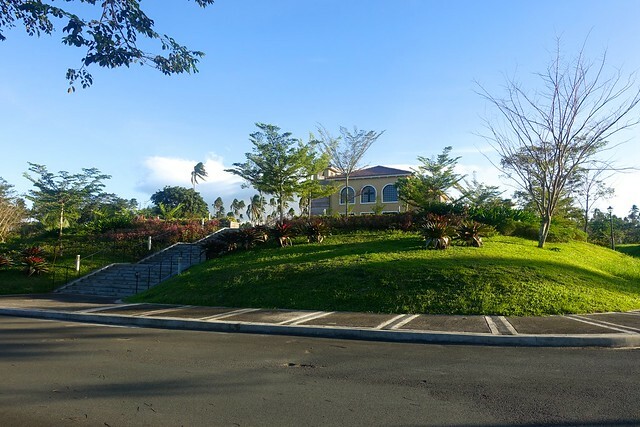 The chapel is owned by Montecito but the servicing is administrated by St. John Bosco Parish in Laguna Technopark. St. John Bosco will provide an officiating priest if requested. For our wedding, we asked our family friend, Rev. Fr. Renie Oliver, of St. Polycarp Parish in Cabuyao to celebrate our nuptial mass. Our Lady of Guadalupe Chapel doesn't have any strict rules in the wedding mass and ceremony BUT we still cleared everything with Fr. Renie including the missalette, hymns, and my bridal march song. He also allowed us to recite our personal vows. One of the most tedious and time-consuming tasks that I did 2 weeks before the wedding was our missalette. I had to type everything since the template that was given to me was not complete. I laboriously typed the entire missalette based on a Marriage/Nuptial booklet published by St. Paul's Publishing. The missalette was used and approved by Fr. Renie. To pay it forward - I'm sharing with brides, grooms, and wedding planners our missalette file in MS Word and PDF documents. You just need to change our names to yours to complete the template. The file is in a regular Word format converted to PDF. It was our awesome printer supplier, Blissful by MarKat, who made the lay-out in back-to-back printable format. You might want to ask your supplier to do it for you as well. All you need to do is download the file below via Scribd and voila! You can also download the MS Word format through this Scribd link. Hope this helps! Trivia: Brides usually have 'wedding nightmares' before the wedding or during preps. The only nightmare I had was the wedding pushed through and we have no missalettes for the guests. Hi, Belle! Glad to be of help! You can show this to your officiating priest so he can approve it and make modifications if ever. This is one of the things I procrastinated on so I am helping future brides with this. HI, can I get the number at montecito? :) we already have a sponsor but we wish to call them sana for some clarifications? Hi, Katerine! Please e-mail so I can send to you. Thanks! That Wedding Missalette is great. Thanks for sharing the pictures and the details here. Anyway, these days I am quite busy in finding historical LA venues for my vintage wedding ceremony. It would be great if anyone of you could share a list of spacious historical event spaces!! Hi, Can i also ask for Montecito's contact number? Can you please send me a copy of your missalette? Kindly send it to jamesmadridejos@yahoo.com. Can I have a copy of your missalette? Can you give me any details about booking Montecito Chapel? I'm really interested to hold our wedding there. Hi, May! Please email me at abbiereal [at] gmail [dot] com. Thanks! HI Abbie! This blog is really helpful esp for those getting married there. Do you have the map from Sta. Rosa Exit going to Montecito Chapel?We are also having our ceremony at Montecito early January and we are trying to construct a map for our guests. Thank you so much! my email is myrtle.frantilla@gmail.com thank you! Hi Abbie! Thanks for the info. Can I ask for the contact number of Montecito? Thanks for the information. How did you Montecito chapel? Hi Abbie! Do you know anyone who's offering sponsorship so we can book Montecito? Here's my email jay.vz01@gmail.com. Thank you! I sent you an email regarding your wedding :) Thank you! Ahh you are a blessing! Thanks for sharing this! Planning on St. Benedict sana coz I'll have to get my nephew from Xavier then straight to St. Benedict for the ceremony... but even the February 2018 dates are booked. Would love to have it in Montecito too, but we don't have a sponsor. Looks very lovely though! 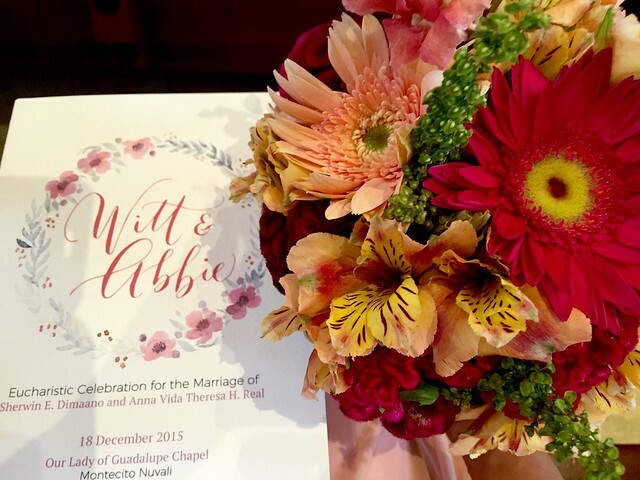 Hi Abbie, can you share the contact number and how to reserve the church for wedding? We wantto have our wedding at Montecito. My father recently passed away so we had to move the wedding next year and the church we initially chose is not available. However, we do not have a contact number and sponsor for Montecito. Would you be able to help? Thank you. My email address is mailguzman@yahoo.com. You are a Godsend. The mass in itself is wonderful but sharing this is even more a blessing. Thank you very much. I know its not much but I plan to credit to your Twitter name at the back of the misalette. teehee :) your thoughtfulness is super appreciated.